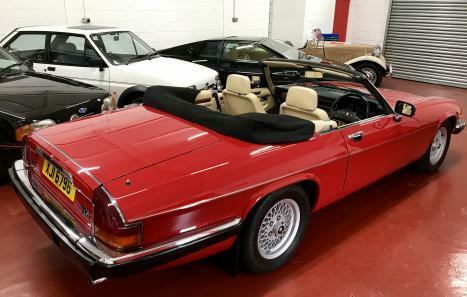 The luxurious cream leather upholstery is a superb contrast to the deep red exterior paintwork and black roof. The supple leather retains an unblemished appearance with a lovely factory texture having never been re-connolised. The seat bases and bolsters show no signs of any sagging or adverse wear, and the electronic lumbar support operates just as it should. The original deep pile carpet is in excellent order and unmarked. The Burr Walnut inlays are all in original excellent order with no cracking or lifting. All interior lighting, gauges, switches and electrics work as they should. 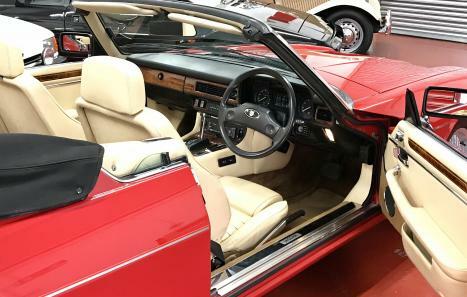 Here we have a chance to own a very desirable Jaguar 5.3 XJ-SC in the best colour combination of red coachwork and cream leather. This car was registered new on the 1st August 1989 by Charles Clark Jaguar, Stourbridge and sold to Kelly Group Limited of West Bromwich. The car had several owners within the Company and it remained in their ownership until April 2002. Its clear to see it has been truly pampered and cherished throughout its life time. 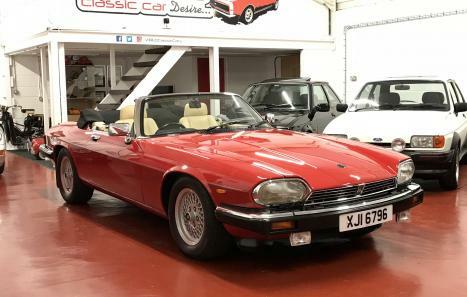 Based in the heart of Staffordshire in a small village near Cannock Chase we are a family run business that provide a simple but satisfying experience of buying a hand-picked piece of motoring history. Our passion for all Classic Vehicles is second to none. We select only the very best vehicles then present them ready for you to just enjoy. We are completely hands on with very high standards sourcing the very best and most desirable makes and models. We clean and detail each and every vehicle as we're a bit OCD and love enjoying them at every opportunity. All our vehicles come with lengthy MOT's, documented history files and a comprehensive pre-delivery inspection so it's ready for you to just enjoy. Integrity and passion are the cornerstones of our business in creating a truly exceptional customer experience. 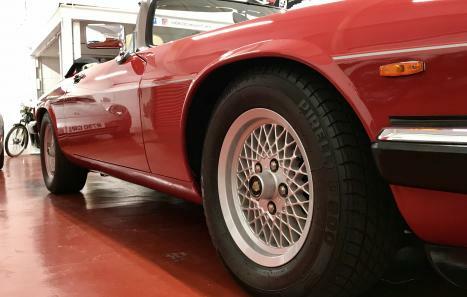 Whether you are new to the world of classic vehicles or an existing collector, every aspect of our business is geared towards your satisfaction and giving unbiased advise on your chosen investment. Please feel free to give us a call about any of our vehicles. All viewings are by appointment only at a time to suit yourself, we are available 7 days a week.